I disagree that Claire’s jealous girlfriend act erases the character development of the previous episode. It’s clear that she’s under the influence of pheromones, so it’s not the way she would normally behave. At the very least, it ended Yaphit hitting on her before it got old. As for whether Discovery is “not real Trek,” the guest’s (sorry, can’t remember the specific person) assertion that female minority leads contribute people feeling this way is only true for a few racists and misogynists. At least in my Trek group, most people who feel it isn’t their Trek are happy about the diverse casting but not the story. The most controversial thing about Discovery is darkness and some people think the Orville has a more optimistic future. I think neither Orville nor Disco are “like” Star Trek. It’s a bit like Star Trek was split in the middle and two parts resulted, both in some ways distortet versions of Star Trek. If Star Trek is a reflection of its time, then this is both fitting and worrisome. Despite the problematic aspects and the humor often not working for me, I actually do kind of like The Orville, but I admit my enjoyment of it has been marred somewhat by the fans of that series who constantly have to make comparisons between it and Discovery. Well before either show hit the airwaves, I was already sick of seeing comments like “I’m more excited about The Orville than Discovery.” When someone says that The Orville is more Star Trek than Star Trek now, it often seems to me that they’re not so much in love with The Orville as they are mad at Star Trek. I tend to liken it to a person who starts dating someone new in order to get back at their ex. I think there are legitimate things to criticize Discovery about, but since a lot of the anger I saw started almost as soon as it was announced, it’s tough to take the haters seriously. 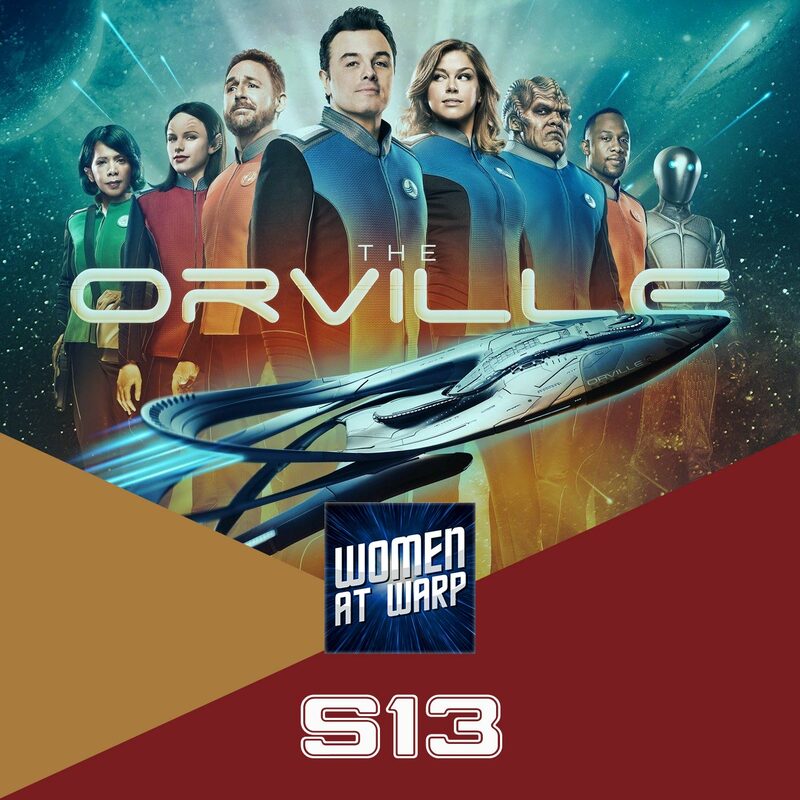 I get that The Orville feels more comfortably nostalgic to some people, but if CBS had made a show that looked and felt like The Orville, a lot of the same people might be be complaining that Trek was plagiarizing itself and that they’d run out of ideas, which I think is what was partly to blame for nearly killing the franchise at the end of the Berman era. A Slings and Arrows shout out?! I think at the end of the Cupid’s Dagger, that the way Rob Lowe played Darulio’s response revealed the real reason he was there was to try to mend Mercer and Grayson’s relationship. I also think Darulio’s affect on people was supposed to mimic the affects on Naked Time/Naked Now. But like with so much of the Orville, it just didn’t fully land due to a lackluster writer’s room. I think Discovery is very much like Star Treck, but twisted. As the series progresses those twists and knots are being shown and removed. I very much look forward to seeing a Discovery in 2nd season form that more obviously shows its TNG lineage.